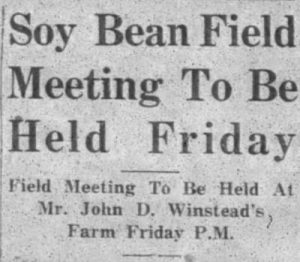 An announcement from the September 28, 1927 issue, urging Roxboro farmers to attend a meeting about plans to grow many varieties of soybeans side by side to help determine which variety grows best. More than 200 issues of The Roxboro Courier are now available from our newest partner, the Person County Public Library. These issues, dating from 1922-1927 were published on a weekly basis. They contain stories pertaining to life in Roxboro, North Carolina, the county seat of Person County, as well as national news. In fact, the newspaper’s tagline “home first, abroad next” indicates interest in both local and national stories. Local news includes birth and death announcements, descriptions and predictions of the economic climate in and around Pearson County, information on local elections and legislation, event announcements, and more. National news stories recount all sorts of national happenings, large and small, from statements by President Coolidge, to a story about a New England champion turkey raiser. 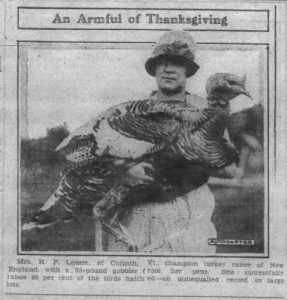 An image from a November 23, 1927 news story about a New England champion turkey raiser. Although the issues up on DigitalNC are from a 6 year span, The Roxboro Courier has a long history. The paper changed it’s name three times, starting out as The Courier in 1896. In 1910 it changed to The Roxboro Courier, then in 1929 to Pearson County Times, and again in 1943 to The Courier-Times, which is still running today with both an online and print version. To learn more about the Person County Public Library, visit their website, or take a look that their DigitalNC partner page. 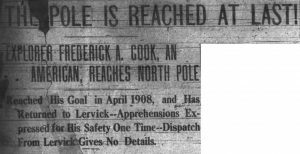 A front page headline from September 2, 1909 celebrates Frederick A. Cook’s trip to the North Pole and subsequent return to Lervik, Norway. Issues of the Washington Daily News, contributed by the George H. and Laura E. Brown Library, are now available on DigitalNC. The Washington Daily News is a newspaper published six days a week, that started in 1909. 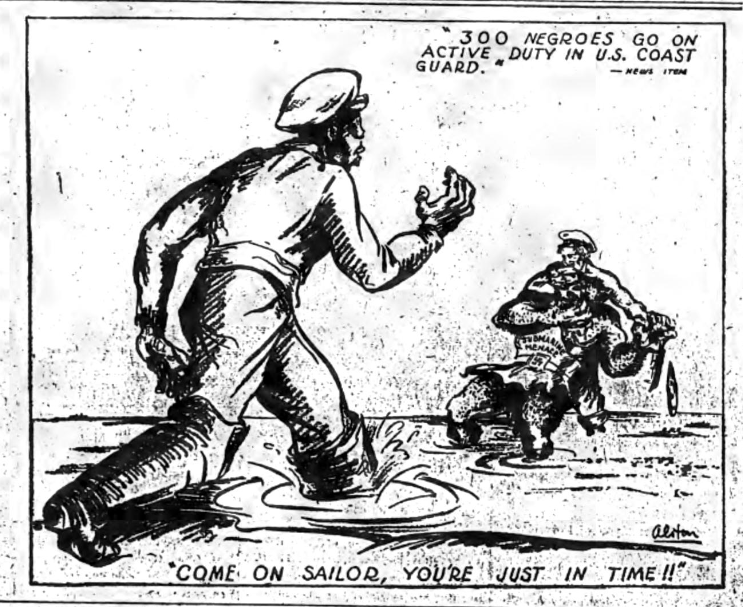 The 1,441 issues now available digitally, span 1909-1914. 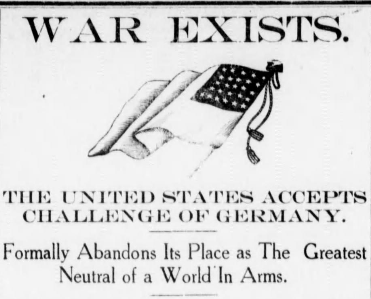 The paper focuses on news from Washington, a small city located in Beaufort County, North Carolina, but also includes news as from the nation as a whole. While front-page headlines tend to tackle breaking stories from the American South, the United States, and beyond, shorter pieces recount municipal issues, meetings, social gatherings, and more. 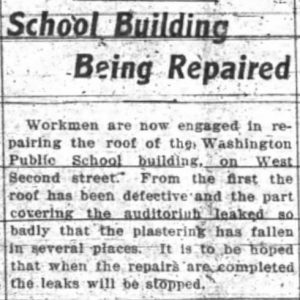 A brief update on the repair of a local school in the September 3, 1909 issue. The Washington Daily News still exists in both print and online form, and in 1990 the paper won a Pulitzer Prize for Public Service for a series of articles exploring and exposing water contamination in Washington, North Carolina. To learn more about the George H. and Laura E. Brown Library, visit their partner page, or take a look at their website. 20 years of the Cherokee Scout, from Murphy, N.C., are now available online. Murphy Public Library, located in Cherokee County, is a new partner on DigitalNC and the first from the county. Like many community newspapers, the Scout contains many stories of national importance, as well as local events and activities. The Scout documents and reflects stories of importance to the community, especially crop reports, sermons, humor, poetry, and serial stories. Newspapers like these are useful for researchers of all types as they are full of names, dates, and cultural data. Murphy’s proximity to the Georgia border also offers information about that region– making this newspaper a unique resource for researchers interested in the economic and social links between North Carolina and Georgia mountain communities. 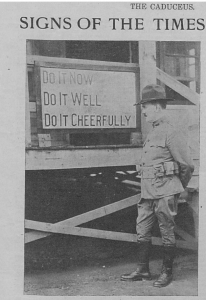 The Cherokee Scout is still an active newspaper with 9,600 readers. 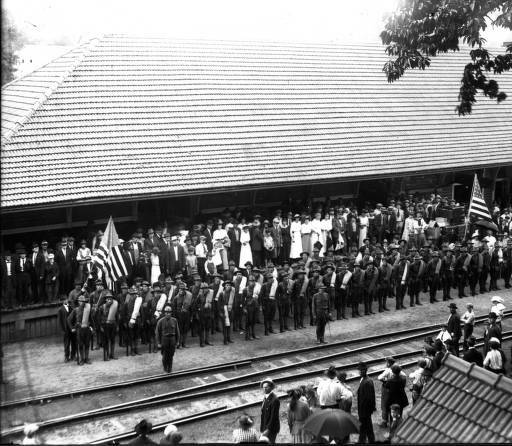 You can learn more about the history of this newspaper, it’s owners, and the happenings of this Western NC community by visiting the landing page. To learn more about Murphy Public Library, please visit the contributor page or the website. Learn more about community newspaper and find information from your community by visiting the North Carolina Newspapers Collection. DigitalNC is happy to welcome a new partner, the Margaret and James Harper, Jr. Library. Located in Southport, Brunswick County, this partner adds to our growing list of contributors representing coastal communities. This partner’s first contribution is a decade of editions of a community newspaper. 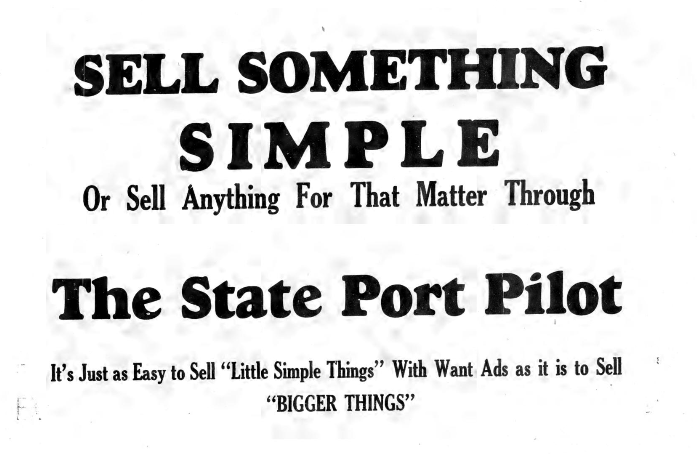 The State Port Pilot documents community life in Southport and the surrounding areas from 1935-1945. 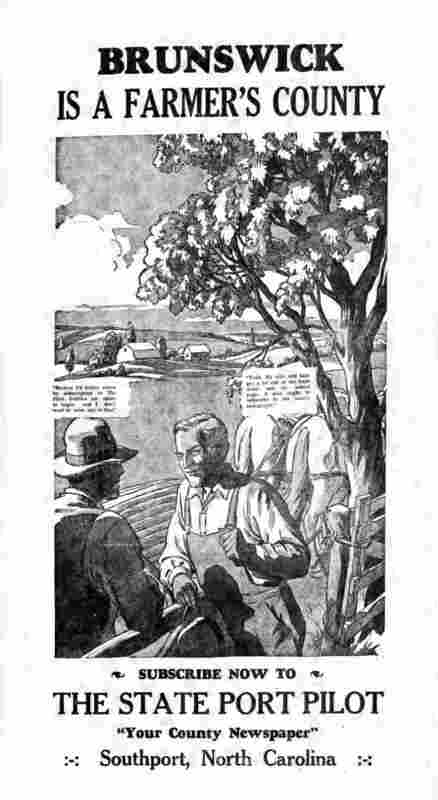 The paper could be an excellent resource for those interested in agriculture at the coast, with many of the stories, advertisements, and images dealing with tobacco farming in that part of the state. This resources is also full-text searchable, allowing for quick research by name and location. 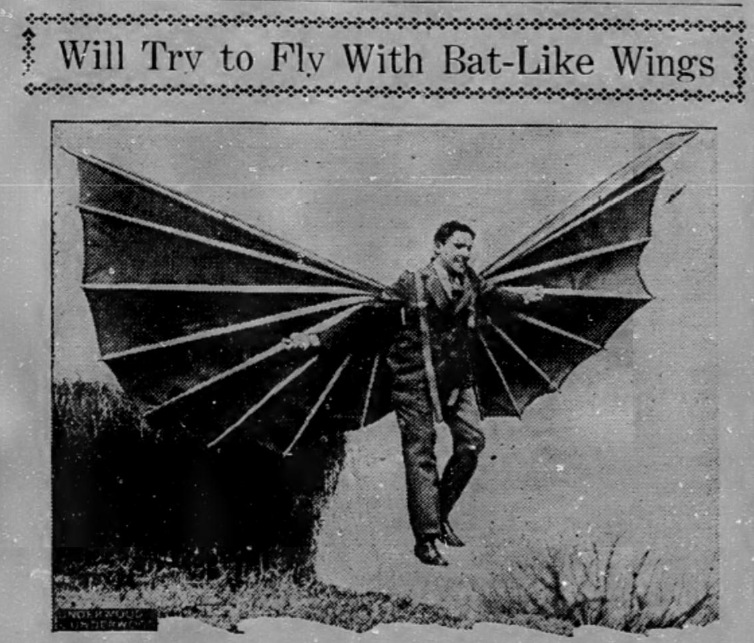 The Pilot also is unique in its advertising techniques, especially during the 1930’s. Full page ads address readers directly with clean simple statements that changed each week. To learn more about the Margaret and James Harper, Jr. Library, please visit the contributor page or the website. To find a digitized newspaper from your community, browse the North Carolina Newspapers Collection. 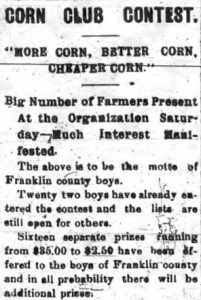 A column in the Feb 11, 1910 issue urging boys from Franklin County to enter an upcoming corn growing competition. Over 100 issues of The Franklin Times, provided by our partner, Louisburg College, are now up on DigitalNC. These issues are from 1909-1911, and were published on a weekly basis. Louisburg is the seat of Franklin county, and The Franklin Times reports on news taking place in Louisburg, Franklin County, North Carolina, and the United States. In fact, the tagline printed at the top of the paper reads “the County, the State, the Union.” Although some large national news stories are covered, many of the issues focus primarily on Louisburg and Franklin County. 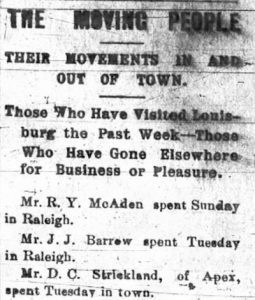 For example, one weekly column, “The Moving People,” tracks “those who have visited Louisburg the past week” and “those who have gone elsewhere for business or pleasure.” The column lists individuals who returned from trips and those who visited from afar. This is indicative of the paper’s local interest. Local meetings, contests, municipal issues, social events, and more are recounted each week. 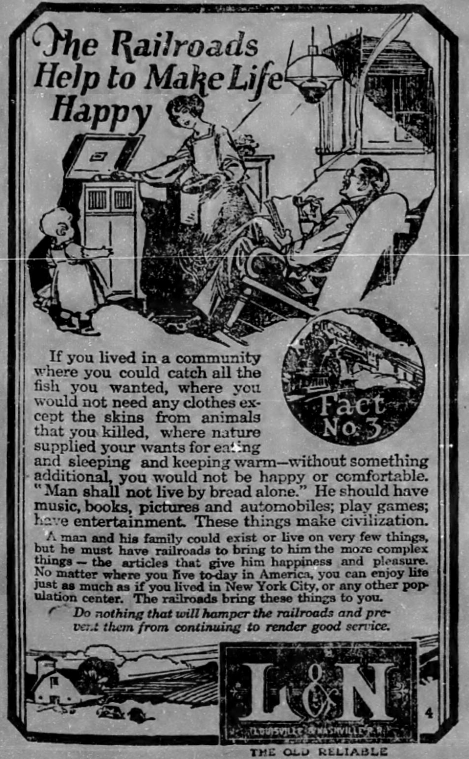 Part of the “Moving People” column from the February 11, 1910 issue. The Franklin Times was established in 1870, but still runs weekly with a print and online version. The Franklin Times website states, “it is the only newspaper published in the county and its content is focused on local government, local schools, the communities and the people who call this rapidly growing area home.” Although many years have passed, the focus of the paper remains the same. To see more materials from Louisburg College, visit their partner page, or website. 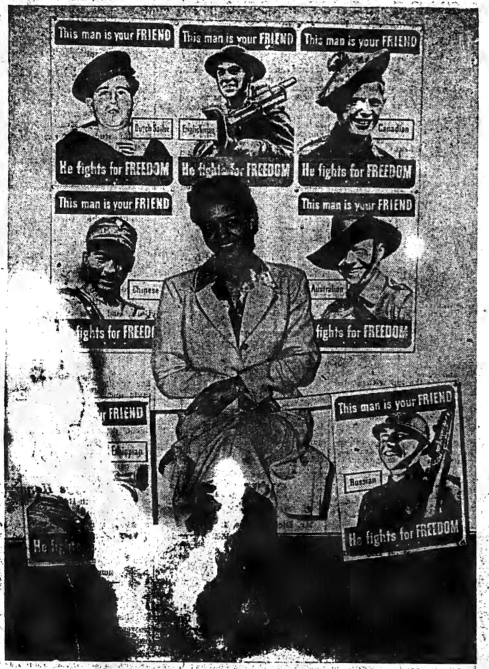 Scrapbooks are the newest additions to the North Carolina Memory Collection, courtesy of McDowell County Public Library. Each scrapbook contains newspaper clippings and notes about various subjects relating to McDowell County, its residents, and its culture. This batch contains information about local churches, doctors, general events from the early to mid twentieth century. Because most of the text included is newsprint, the scrapbooks are full-text searchable, which can make research easier and more efficient. 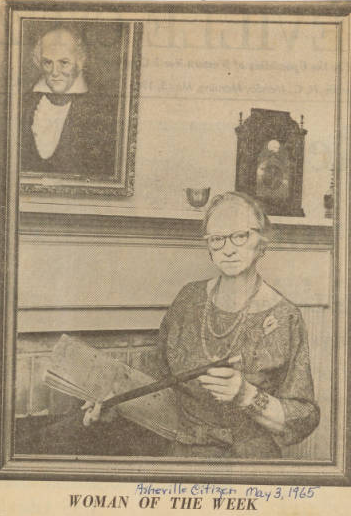 Several of the highlights from this batch include stories that recognize notable women from McDowell County, including the scrapbooks’ creator Mary Margaret Greenlee. 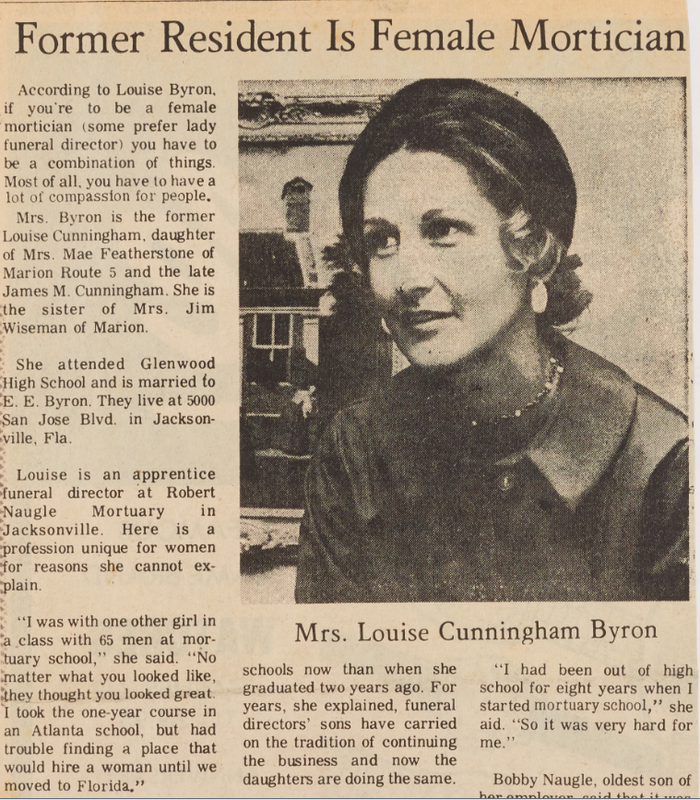 One example is represented in the story on the right about Mrs. Louise Cunningham Byron. Byron trained and worked as a mortician and was interviewed about her breaking the mold in a male-dominated field. Mrs. Greenlee is also prominently featured in the scrapbooks. Greenlee was a well known educator and advocate in several counties in Western North Carolina. 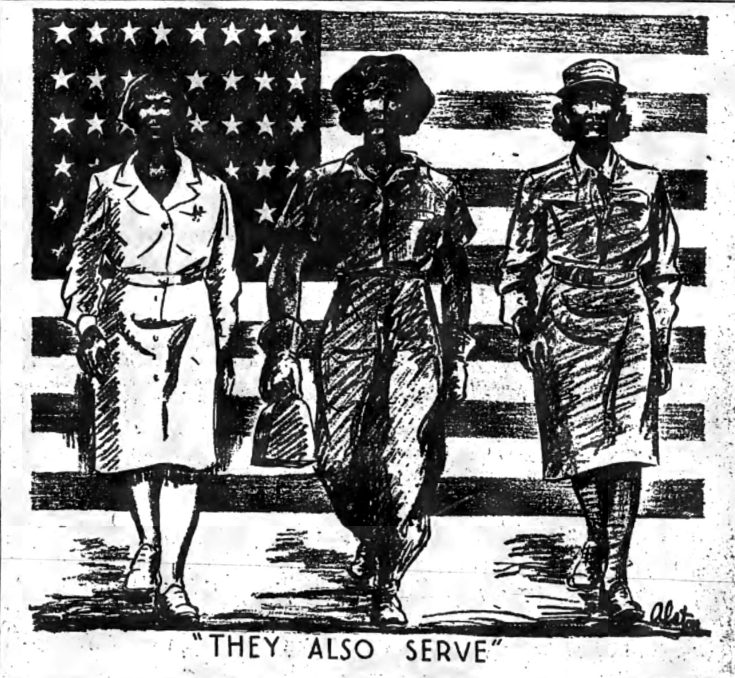 These scrapbooks are excellent resources for learning more about her life, the lives of women and men throughout the county, and about the history of McDowell County. 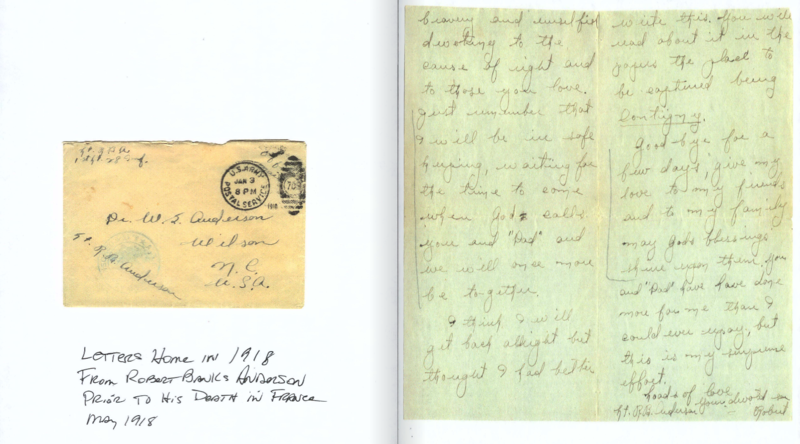 To see all of digitized scrapbooks from the Greenlee Collection, please use the following link. To learn more about McDowell County Public Library, please visit the contributor page or the website. 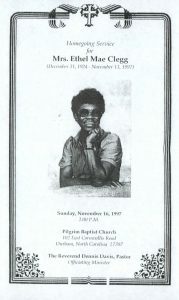 Hundreds of funeral programs and obituaries from the R. Kelly Bryant Obituary Collection, physically housed at the Durham County Library North Carolina Collection, are now up on DigitalNC. 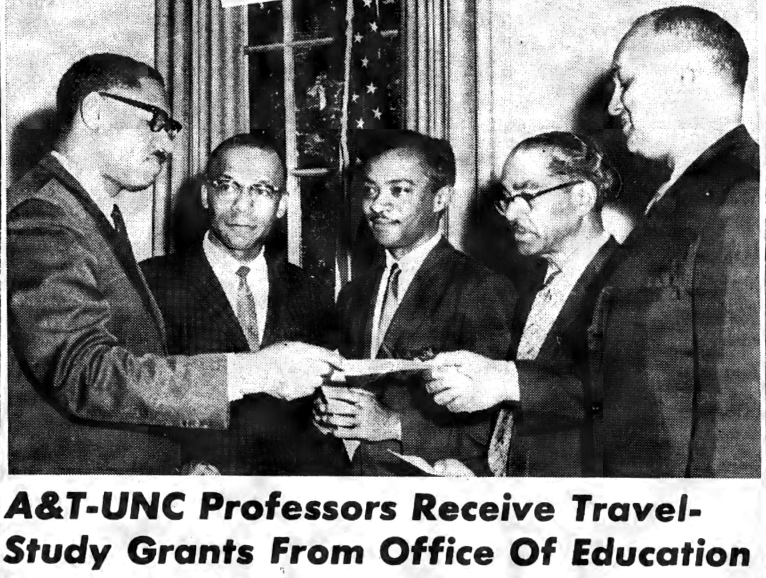 R. Kelly Bryant (1917-2015) was a historian with an extensive knowledge of Durham, North Carolina. 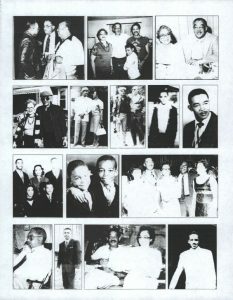 In addition to being an active community leader with involvement in many organizations, he also collected the stories of thousands of African American residents told through funeral programs and obituaries. 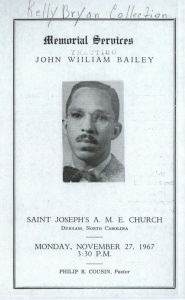 This collection consists of digitized photocopies of the obituaries and funeral service programs that R. Kelly Bryant assembled over the course of his 70-odd years as a Durham resident. They are grouped together alphabetically according to surname of the deceased. The surnames “Adams,” through “Coachman” are now available, but we will continue to add more names to the digitized collection. These materials are text searchable, and often contain genealogical information on their subjects including birth and death dates, maiden names, names of relatives, past residences, and places of burial. They cover funerals held from 1934-2013, and provide rich documentation of the African American community in Durham during this time. To learn more about Mr. Bryant and view his archival collection at Durham County Library, visit the finding aid. To see all of the digitally available programs, visit the R. Kelly Bryant Obituary Collection exhibit page. Also please take a look at other materials from the Durham County Library that are up on DigitalNC by visiting their partner page. We have a 50 year embargo for high school yearbooks on DigitalNC, to be considerate to alumni privacy concerns. In practice, this means that each year we can inch forward with a new round of volumes. 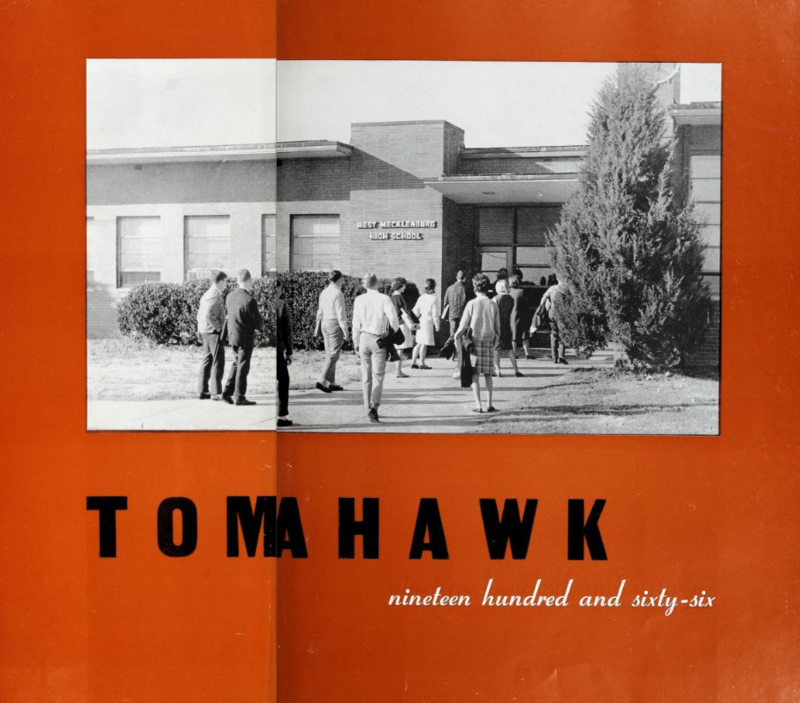 The Charlotte Mecklenburg Library recently brought us six yearbooks from six different high schools all dating from 1966. 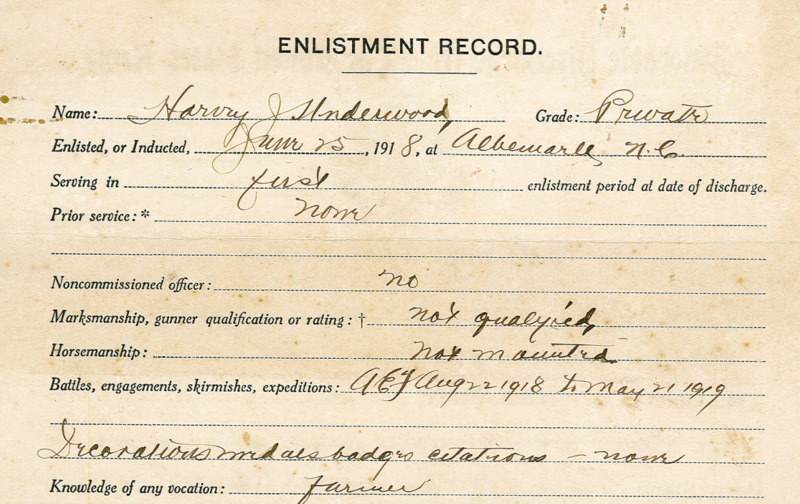 And don’t miss the rest of an extensive set of yearbooks and other materials that Charlotte Mecklenburg Library has already shared online at DigitalNC, as well as The Charlotte-Mecklenburg Story, their own rich site of Charlotte history.